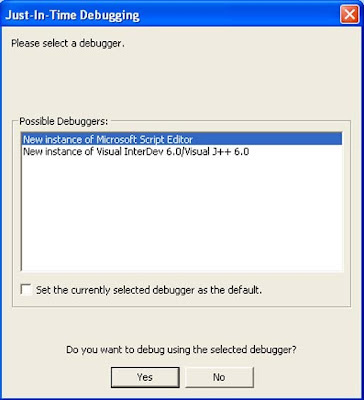 How To Solve Just In Time Debugging Error In Windows Start Up ? Very often, I find the start up error “how-to-fix-firefoxexe-error-in-firefox-browser/">Just-In-Time-Debugging” after every restart or log off which made me too irritated. In order to solve this error I was slapping myself but I couldn’t find the right solution even online. Finally, my sister has put an end for this error-haldll-an-important-message-to-be-noticed/">fatal trouble. The main cause of this trouble is, if you have installed both VB, DAP (Download Accelerator Plus) it occurs after every restart, and solution-for-the-error-orkut-is-banned/">log off. You can solve this trouble very easily because here we have given the finest solution for you without slapping yourself. Temporary solution for this error is you can switch off your modem in order to avoid this during system start up and you can switch on the modem after the successful sign in, another solution is you can use either mozilla-releases-error-fixed-browser-firefox-307/">VB or DAP to avoid this error. Rush to Registry by typing “how-to-solve-symantec-start-up-error/">Regedit” in your Run menu and then click ok. Then navigate to the following path and delete the following registry keys. 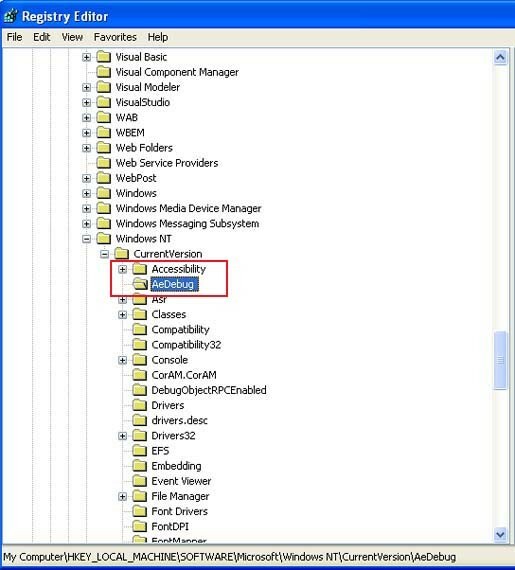 On a 64-bit operating system also delete the following registry keys: HKEY_LOCAL_MACHINE\SOFTWARE\Wow6432Node\Microsoft\Windows NT\CurrentVersion\AeDebug\Debugger HKEY_LOCAL_MACHINE\SOFTWARE\Wow6432Node\Microsoft\.NETFramework\DbgManagedDebugger. Now you can come out ofhow-to-retrieve-the-cd-keys-and-serial-numbers/"> your stress. •Go to the Tools Menu and Click Options. •Select the Debugging Folder from the Option dialog box. •Select the Just-In-Time page from the Debugging Folder. •In the Enable Just-In-Time debugging of these types of code box and select or clear the relevant program types: Managed, Native, or Script. For a size of a few millimetres, the new micro-batteries are powerful enough to jump start a car battery and then quickly charge the cell phone. Researchers from the University of Illinois have developed the micro batteries which can be used to drive compact electronic devices and new applications for radio communications. The micro batteries are so good that they can even out power the super capacitors. The results were published in ‘Nature Communications’ in the April 16 issue. The micro batteries have energy and power and with the researchers tweaking the structure of the micro batteries a little bit, its use can be for wide range applications. Google Health Login Page is Ready! This will be a nice development about caring health and this will helps in having some cautious about health. The phones design is an innovative in which the user has the geometric form language to make sure a clutter-free environment for screening content. The San Francisco based studio One & Co collaborated with HTC Taiwan Design team to create Diamond HTC smartphone. The HTC phone is quite wonderful with design and the rapid development in the smartphone market the HTC has taken innovative steps to capture the SmartPhone market HTC develops these kind of new inventive designs.